William Branham in the latter stages of his ministry (1958-1965) could not accept the concept of three persons in the Godhead. This appears to have been the result of both his lazy theology and his desire to be seen as a prophet that was restoring long forgotten truths to the church. His argument against the Trinity is referred to as a "straw man" argument, in that he constructs what he thinks Trinitarians believe (but which in fact they deny vehemently) and then attacks that incorrect view of their beliefs. Now we find in the Scripture that many people teaches that, "three personalities in the Godhead." So, you cannot have a personality without being a person. It takes a person to make a personality. William Branham's rejection of the Trinity is not based on scripture, it is not based on sound reasoning and it is not based on what the church has historically taught. He simply rejected it out of hand because he did not take the time to understand the concepts. C. The three are distinct. All heresies relating to the Godhead are the result of attempting a "simpler" explanation by removing either A, B, or C above - the result being polytheism, Arianism, or Modalism - all of which must necessarily ignore something in scripture. Much like the concept of eternity, the Trinity is difficult to wrap our heads around, but even harder to debunk with honest, responsible review of scripture. 1.2 "Person" does not mean "Individual"
What is the meaning of “person” in the orthodox representation of the Trinity? Etymologically, the word is from the Latin persona, from per, “through,” and sono, “speak,” hence, “speak through” and thus the “mask” through which the Roman actor spoke, and hence the specific “character” he portrayed. The word, it is true, does not appear in the Nicene Creed per se. But it is the word with a history of doctrinal usage that went back as far as Tertullian and which eventually came to be universally used by the church to designate the Three Selves in the One God and to distinguish them from the one divine essence which each is as God. I could wish they [that is, the Greek words, ὁμοούσια, homoousia, οὔσια, ousia, πρόσωπον, prosōpon, and the Latin substantia, persona] were buried, if only among all men this faith were agreed on: that Father and Son and Spirit are one God, yet the Son is not the Father, nor the Spirit the Son, but that they are differentiated by a peculiar quality. How do you even attempt to describe in terms of the English language (or any other language) a Being - God - who created all time and space and whom human beings can not possibly comprehend in His fullness? The original words for the nature of being of Godhead—essence (essentia or ousia) and substance (substantia) are straightforward enough. On the contrary, the originals for ‘person’ underwent considerable revision. Of the adoption of the word persona by the Latins, Augustine said that they did so ‘since they could not discover any more suitable method to describe that which they could understand without words’ (De Trinitate, V. 10). The Greeks seemed to have difficulty in establishing the most acceptable term for the object designated by the Latin persona, which is not quite equivalent to ‘person’ or ‘personality’ in our sense of the words. The exact translation (at least of one of its senses), namely, prosopon, means ‘a mask’, ‘an aspect’. Since, however, the word had been employed by the Sabellians in their unacceptable view of the Trinity—that the same one person, God, is Father, Son and Holy Spirit, as it were in sequence, showing one aspect when creating, another aspect when redeeming, and a third when sanctifying, these external aspects reflecting no eternal distinctions immanent in the Godhead—it was rejected. So the Greeks chose hypostasis, which was by no means initially a simple or obvious choice; for hypostasis itself has two connotations—the one, strictly etymological and signifying ‘substance’ and so apparently equivalent to substantia or ousia, eventually fell out of use in trinitarian theology; and the other has traditionally been translated as ‘person’. In the history of trinitarianism, persona was equated with tropos hyparxeos, and with the Latin subsistentia in divina essentia. "Person" does not mean "Individual"
The words which we render ‘Person’ (ὑπόστασις, πρόσωπον, persona) are of a still later date, and at first exhibited a remarkable fluidity of signification. 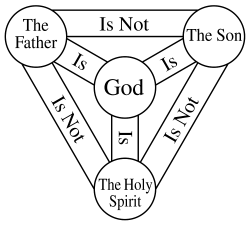 Thus ὑπόστασις was used at one time to denote what is common to Father, Son, and Holy Ghost, what we should call the Divine ‘substance,’ at another it was used to distinguish between the Three; so that in one sense there is one ὑπόστασις in the Holy Trinity, in the other there are three. With regard to the word ‘Person,’ the student must necessarily be always on his guard against the supposition that ‘Person’ means ‘individual,’ as when we say that three different men are three ‘persons’; or that ‘Trinity’ involves tritheism, or three Gods. These technical expressions are but methods of denoting the teaching found in the New Testament that there are distinctions in the Godhead, and that, while God is One, yet He is not a mere Monad. These technical terms are not found in the apostolic or sub-apostolic writers; with regard to the second of them, it may be remembered that the idea of personality was hardly formulated in any sense till shortly before the Christian era; and its application to theology came in a good deal later. Theologians recognize that the word "person", particularly in its current meaning in the English language, does create problems. Both [Karl] Barth and [Karl] Rahner held that “person” (from Lat. persona), the traditional term in the so-called Western church for the divine Three, had become seriously misleading. While originally designating a theater mask and then a role and hence an identity, in contemporary usage “person” (→ Self) had come to denote a subjective center of consciousness. With that understanding of “person,” the claim that God is three persons stands in grave danger of degenerating into tritheism. Barth proposed as an alternative the phrase “mode of being” (Seinsweise); Rahner proposed “mode of subsisting” (Subsistenzweise). When the KJV was published, the English word “person” was still close to this primary meaning of the Latin word persona, mask. It referred to people’s outward appearance or circumstances—physical presence, dress, wealth, position—rather than to their intrinsic worth or inner springs of conscious, self-determining being. “God is no respecter of persons” or similar wording in Acts 10:34 and elsewhere means that God does not regard mere externals. There is little doubt that the formula “one essence, three persons” creates problems, but any alternative formulation only multiplies the difficulties. Augustine was dissatisfied with the term persona but found no preferable alternative: “We say … three persons, not that we would say this, but that we would not be silent” (De Trinitate, V, 9); “… not because Scripture does so, but because Scripture does not forbid” (VII, 4). But Western Latin theology has used the formula “one substance, three persons” ever since Tertullian. Eastern or Greek theology had translation problems with the Latin formula (in Greek, the Latin persona becomes prosōpon which means “mask” and thus seems to deny essential identity) so Basil the Great and the Cappadocians, distinguishing two terms that until then had also been used confusedly, spoke of three hypostases in one ousia. The Latin translation, however, was una essentia, tres substantiae (“one essence, three substances”) which implied tritheism. Apprehensive lest three “persons” might imply three “substances,” Anselm affirms “three I do not know what” (Monologium, c, 78). Aquinas equates “person” with a relation that is “its own mode of being” (Summa Theologiae, I, W. 29, Art. 4). Calvin defines person as “a ‘subsistence’ in the Divine essence … distinguished … by an incommunicable quality” (Institutes, Book I, XIII, 6). To this day Eastern theologians (cf. for example Vladimir Lossky, The Mystical Theology of the Eastern Church) insist that the Greek term hypostasis best fits the meaning of “person”; Roman Catholic theologians, on the other hand, find it unserviceable as a clear alternative to pagan polytheism and to bare monotheism. Nevertheless their mutual recognition of theological intention serves to override semantic differences. ↑ Robert L. Reymond, A New Systematic Theology of the Christian Faith, 319-20 (Nashville: T. Nelson, 1998). ↑ John McIntyre, The Shape of Pneumatology : Studies in the Doctrine of the Holy Spirit, 76-77 (London; New York: T&T Clark, 2004). ↑ Erwin Fahlbusch and Geoffrey William Bromiley, vol. 5, The Encyclopedia of Christianity, 547 (Grand Rapids, MI; Leiden, Netherlands: Wm. B. Eerdmans; Brill, 2008). ↑ Martin H. Manser, Natasha B. Fleming, Kate Hughes and Ronald F. Bridges, I Never Knew That Was in the Bible!, electronic ed., 332 (Nashville: Thomas Nelson Publishers, 2000). This page was last edited on 20 May 2017, at 16:33.